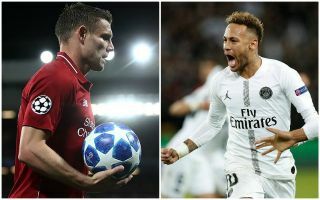 Liverpool star James Milner has shared a photo mocking the play-acting and diving of Neymar in last night’s Champions League defeat to Paris Saint-Germain. The Brazilian may be regarded as one of the finest footballers on the planet, but he let himself down with some of his behaviour at the Parc des Princes this week. The former England international also tweeted that the image summed the evening up, which rather mocked the winning side despite a generally strong performance, even if it was marred to an extent.